A map of the Arctic from the National Geographic Atlas of the World. (Screenshot via National Geographic)Cartographers working on the latest edition of the National Geographic Atlas of the World say that Arctic sea ice loss is the greatest visible change compared with previous editions of the map outside of the "breakup of the U.S.S.R."
According to National Geographic, in the 10th edition of the Atlas, which will be released on September 30, the depiction of multiyear ice—or ice that has survived for at least two summers—is now a significantly smaller area than on previous maps. "You hear reports all the time in the media about this," said National Geographic Geographer Juan José Valdés. "Until you have a hard-copy map in your hand, the message doesn't really hit home." The dramatic loss of Arctic sea ice is one of the primary indicators of the effects of human caused global warming. Recent data from the National Snow and Ice Data Center showed that in March, when sea ice reached its maximum extent for the year, the amount of ice cover fell to its fifth lowest on record. 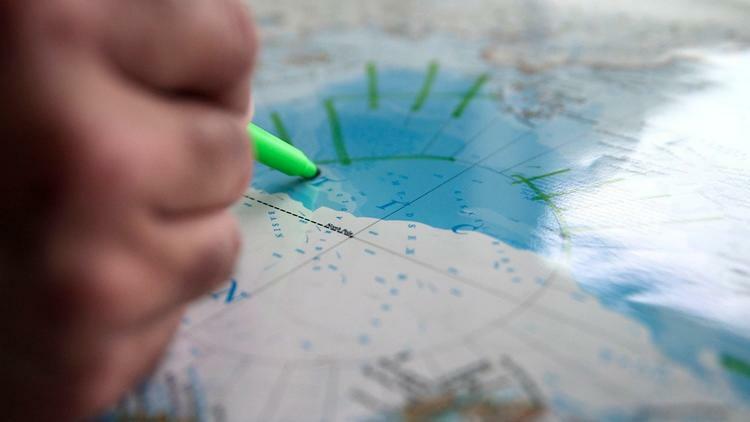 The latest Arctic map draws from data collected over a 30-year sea ice study conducted by NASA.